June | 2014 | "Domipheus Labs"
I’ve been meaning to set up my Raspberry Pi to monitor the Heatmiser WiFi thermostat I use, as well as being a small home server. I have a standard wall mount plate free in the hall of our house, the sort of thing the above would mount into and be wired direct to mains for 24/7 operation. 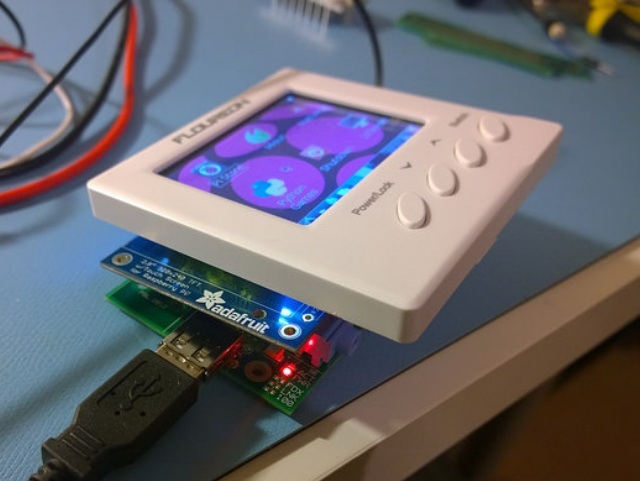 I thought it would be cool to take a cheap thermostat, gut it, and replace it’s internals with Pi goodness – throwing in a colour touchscreen for good measure. 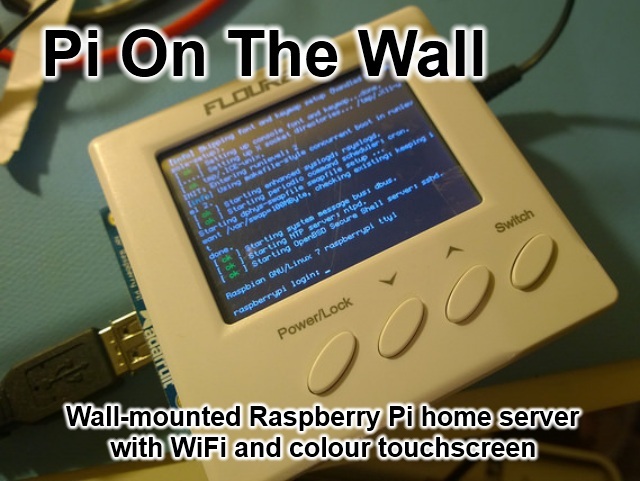 The Pi On The Wall was born. 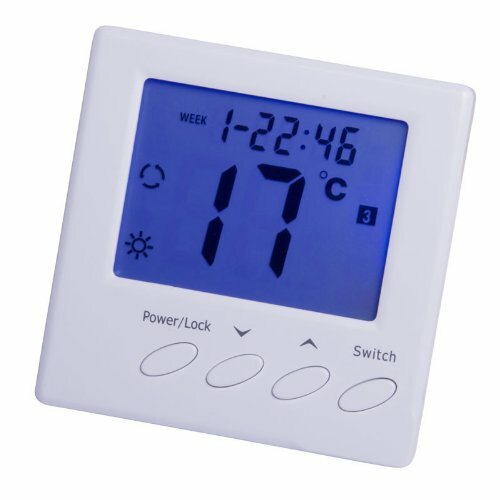 I discovered a cheap thermostat on Amazon which had mains power to 5v built in. The power unit may need to be replaced which is something I’ll write about later, but as you can see there is not much space in here for a Raspberry Pi and associated TFT screen, WiFi stick, SD card, etc. There will be quite a bit of customization going on. The Pi board itself doesnt fit in here for length, let alone it plus the standard PiTFT mount for depth. That’s not going to look good on the wall. I’m quite progressed with this project as I type this, and will post a few updates shortly. Spoilers: In total, the current depth of the Pi + TFT is currently 14mm. This is after some serious hacking at the board itself. It’s not pretty, but it’s working. There are some fun hacks in here to share! To be continued… if you are too impatient for the next part, i’ll be updating the following flickr album with various shots, and posting on my @domipheus twitter. Cheap 1.8″ SPI 128×160 TFT Module – Arduino wiring! Still working on my bench power supply, and wanted to move from my 16×2 retro LCD to something a bit more funky, and found these which use the Samsung S6D02A1 chip. At the time of writing, you can get these from a UK warehouse for £3.30 shipped for a single unit. That’s awesome. However, the comments were quite bad and many people had issues with them – no matter how it was wired an Arduino wouldn’t drive it. After lots of trial and error and searching all over, I discovered the secret hack: put 1K resistors between all I/O pins, and Vcc is +5v. 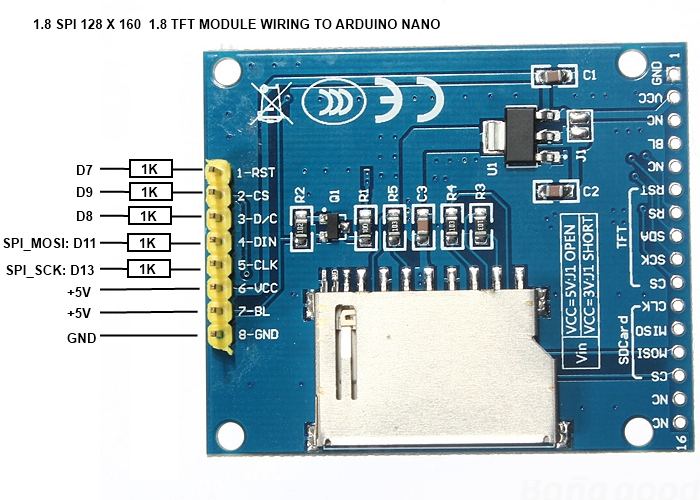 Basically, I/O is 3.3v – the SD card on the back has resistors by the looks of it, but not the TFT. It’s cheap. 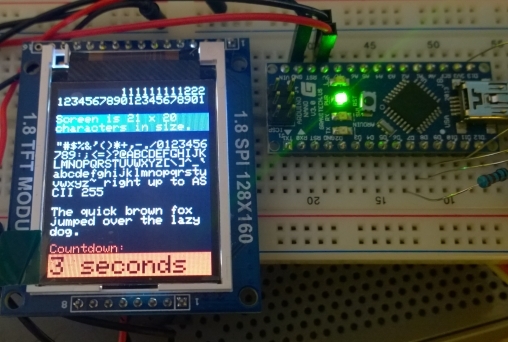 After that, it’s working very well with an arduino nano using the library from ‘zigwart’ which is available on github. A prerequisite of this library is having the Adafruit GFX library installed. An example clock and a test demo is included. For just over £3 I’m very happy, and it will nicely fit within my bench power supply design.